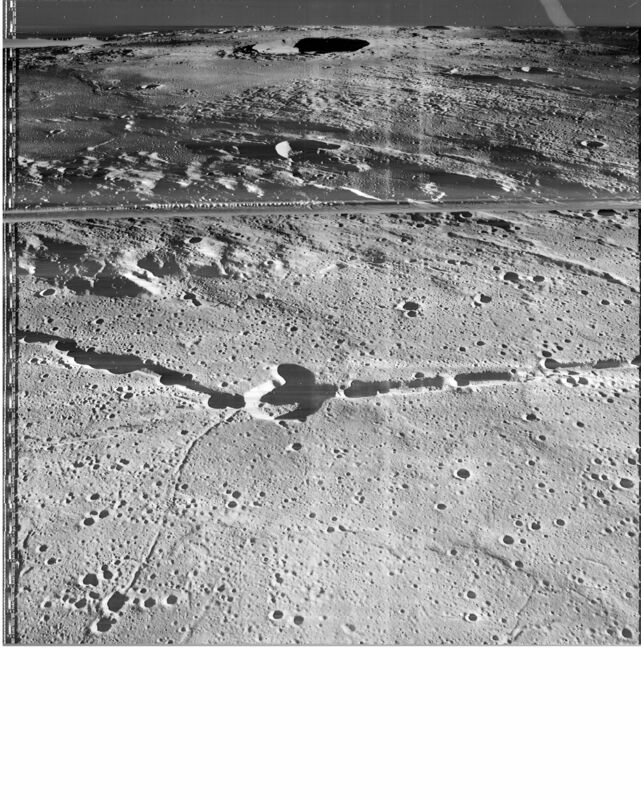 A 1968 photo taken during a Lunar Orbiter mission to the moon shows what appears to be a spacecraft that is at least 10 miles (16 km) long resting inside the Crater Manlius. The photo was the subject of a Youtube video that was released on October 4 that shows various close ups and light contrasts of the apparent spacecraft. Most of the object is well illuminated by the sun, but the rest is in the shadows of the crater which is approximately 20 miles (34 km) in diameter, What appears to be a spacecraft cockpit is in shadows. According to an October 5 blog post on UFO Sightings Daily, the object is a UFO that was being secretly studied by NASA, and the real target for upcoming Apollo moon missions. The apparent spacecraft was photographed by Lunar Orbiter III (frame 3073) that was sent in 1967 to map the moon for future Apollo missions. Prior to its October 2014 “rediscovery,” the UFO in the photo was discovered in October 2007 and discussed on an online forum where the consensus was that it was a spacecraft of some kind. One possible explanation of the object is that it is an optical illusion based on a depression in the crater, rather than a large spacecraft resting on the crater’s surface. The contours of the object as it meets the shadow cast by the sun from the crater’s rim, however, appears to rule out such an explanation. What is perhaps even more solid evidence of something artificial on the moon’s surface in the same Lunar Orbiter photo is what appears to be the remains of a road that is approximately 60 miles (100 km) long on the moon’s surface. The apparent road is surprisingly straight and covers the entire width of the Orbiter photo suggesting it is even longer. This suggests that it is not a natural depression on the lunar surface. Even more surprisingly, the roadway was not discussed in either the Youtube video or the UFO Sightings Daily blogpost. The object captured by the Lunar Orbiter III does appear to be a huge spacecraft that is at least 10 miles long resting on the surface of the Crater Manlius, rather than an optical illusion from a depression in the crater. A possibility of artificial structures on the moon that is harder to dismiss is what appears to be the remains of an ancient lunar highway that is at least 60 miles long.